If you are lucky enough to have an illustrious career, you may remember simpler times when gathering up new business was all about networking, cold calling, and sending flyers through the mail. Many small businesses were built through local, grassroots campaigns and always paid to be in the Yellowpages. What may have worked for your parents, grandparents, and older colleagues, may not only be outdated but actually hurting your marketing efforts. Let’s take a look at some old school wisdom that may actually not be helping, but hurting. Only the people with an IQ above 160 can solve these questions. Are you one of them? Click to find out. While, this can be an effective marketing tool for less savvy populations, it can be considered ethically ambiguous at best and downright trickery at worst. While you may funnel the initial views to your webpage, you will most likely notice an exceedingly high bounce right and lost consumer trust. One of the most important things that a marketing campaign should provide is consumer trust and awareness. By relying on trickery to funnel people to your webpage, you only hurt your chances at developing a long-term relationship with them. Maybe I have personally been on the receiving end of too many unsolicited sales pitches, but I feel pretty strongly about this one. Not only as a consumer, but as someone who spends my days helping people grow their business. Cold calling may work for certain business models or industries, but when you stop and think about… when was the last time you gave your credit card info to the guy on the other end of the line? Can you think of a time when a cold call ended in something other than mutual frustration and perhaps a few choice words? We live in a world of unlimited information available to us at any time. Because of this, we don’t need a car salesman to cold call us to offer us a great deal on a vehicle. We can just Google it. Now, this doesn’t mean you can’t adapt this concept and apply a new strategy. Social networking sites like LinkedIn can jump-start a relationship-building process that can potentially provide a warm lead. Referrals from happy clients and introductions from mutual friends are often more likely to result in a foot in the door versus calling the head honcho when he’s in the middle of his workday. This is where having a personal brand, aside from your business’ brand, can really provide a solid return on investment. Would you rather hire a marketing agency with a killer portfolio… or a marketing agency with a killer portfolio AND a super active social media presence where you see the boss man writing blogs on emerging industry topics, doing live Q&A videos, and reaching out to other business owners on LinkedIn? Let your name and your work speak for itself, allowing you to develop relationships with your target market… no cold calling required. Remember how I said earlier that we live in a glorious internet age where we can Google the mysteries of the universe at anytime, day or night? Because of the sheer amount of content available to consumers, marketers and businesses have adapted their messaging to be hyper-relevant to their target audience. This has allowed consumers to receive more relevant information and customized content that competes with the dozens of marketing messages consumers receive every time they open the inbox, social media profiles, and mailbox. 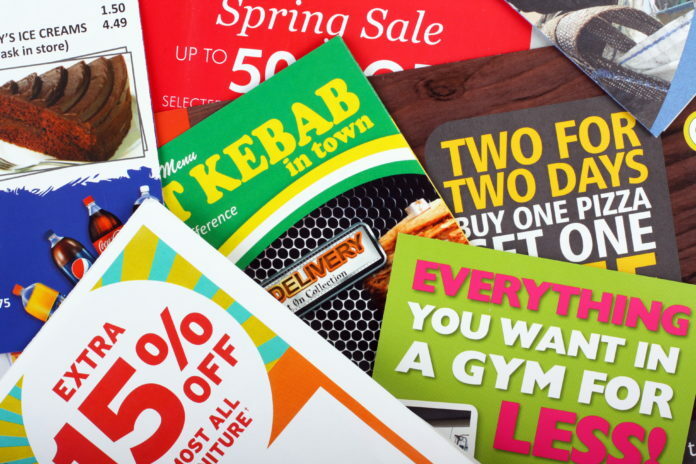 Spamming used to be an effective marketing and sales tool when consumers weren’t as saturated with marketing messages. If your overall goal is to educate the consumer about your product and services (and ultimately convert them into happy customers) you have to create content specific to your target audience instead of focusing on mass production. A common theme among start-ups and smaller businesses is trying to be the “everything guy.” Who’s the “Everything Guy?” He’s the one who started a painting company, but instead of focusing on a lucrative niche (like hand-painted wallpaper or murals) he advertises that he does everything. In fact, if you ask, he would probably even detail your car. So what’s wrong with increasing your business by offering multiple services? Nothing is inherently wrong with that… the biggest mistake here is not narrowing down to select services that complement each other and branding yourself as a leader in that industry segment. Would you rather hire a painter for a home remodel that also advertisers his landscaping services, custom birdhouses, and personal training side business or hire a painter who solely paints residential homes? Finding your niche in the marketplace can take a lot of thought, planning, research, and strategizing. But you are often rewarded with a solid market segment that becomes a solid foundation on which to grow and scale your business.